In a season that began with a rash of Tommy John surgeries for 15 Major League Baseball pitchers, contenders like the Atlanta Braves and Oakland A’s appeared to be at a disadvantage out of the gate. One month later, the Braves and A’s proved their pitching depth could withstand multiple losses. Both teams sit comfortably in first place in their respective divisions and appear capable of continuing. Elsewhere around the league, two big-name international free agents have proven that they belong in the Major Leagues, while familiar faces from All-Star teams past have reasserted their dominance on the baseball diamond during the first month of action. Here are the 10 best MLB players of April 2o14. After injuries to A.J. Griffin and Jarrod Parker, Oakland desperately needed someone to fill the holes in its rotation. Journeyman reliever Jesse Chavez has given the A’s more than anyone expected. Through six starts, Chavez’s stats are eye-popping: 1.89 ERA, .199 batting average against, and 41 strikeouts versus just 8 walks. He capped off this elite performance in April with seven innings of one-hit ball on April 30 against the Rangers. That victory closed out Oakland’s three-game sweep of the Rangers in Texas. Even after his breakout spring, the A’s couldn’t have dreamed Chavez would perform on this level through his first month in the starting rotation. If every month in the big leagues goes like it did in April for Masahiro Tanaka, the Yankees are going to consider their $155 million well spent. That would be a tall order. Tanaka put up Cy Young-caliber stats in his first five starts, going 3-0 with an ERA of 2.07 through 35 innings. Among the numbers that leap off the page, the ratio of 46 strikeouts to 6 walks is especially noteworthy. His 0.93 walks-hits-to-innings-pitched ratio (WHIP) is another. In fact, Tanaka’s stats were eerily similar to those of “King” Felix Hernandez, who is routinely called one of the best pitchers in the game. Two differences? Tanaka’s WHIP and ERA are better than King Felix managed in April. 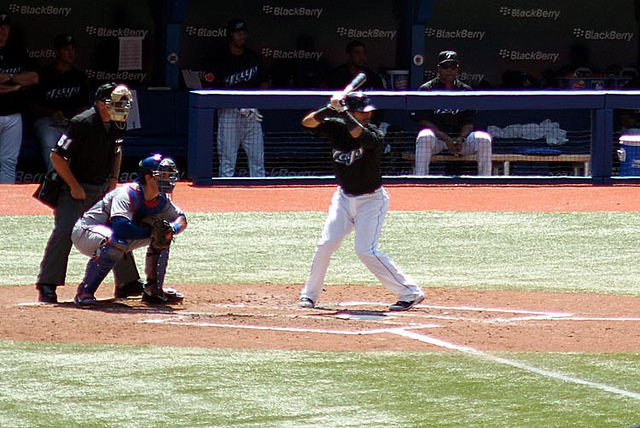 Toronto Blue Jays slugger Jose Bautista has been slowed by injuries in recent years, but he’s begun 2014 as the masher fans of the long ball love to watch. In fact, Bautista’s 8 home runs have already put pitchers on edge so much that they’re putting him on base every game. He’s leading the league in walks with 30 free passes in 27 games for the Blue Jays. Bautista’s penchant to walk has given him the highest on-base percentage (.467) and the highest on-base-plus-slugging (1.065) in the AL. Combined with his .293 batting average, he had the best all-around month offensively among AL players. Even Mike Trout couldn’t match that production. The kid from Millville, New Jersey, has proven that $144 million in the bank is only helping his on-field performance. Trout has come out of the gate firing on all cylinders in 2014, hitting .321 with 6 homers and 8 doubles in 27 April games. 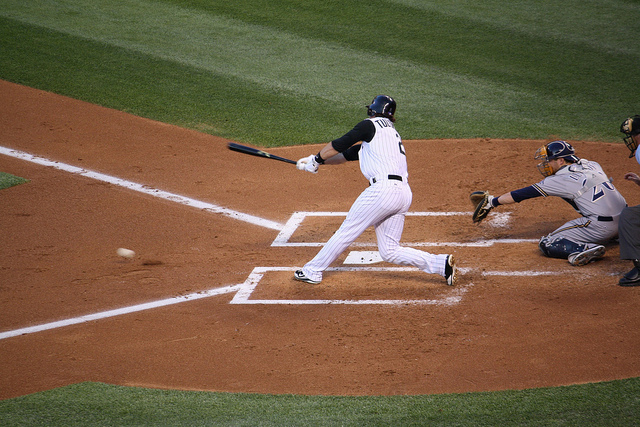 Only Jose Bautista bested his OPS (1.000), while Trout had the edge in extra-base hits and batting average. In fact, there’s only one stat that’s keeping Trout from posting numbers worthy of Joe DiMaggio. 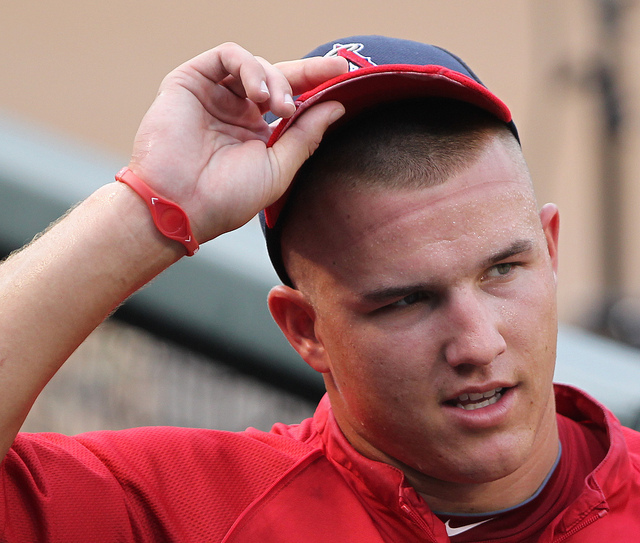 Through his first 27 games, Trout struck out 34 times. The Yankee Clipper usually took a full season to strike out 30 times. That is, unless you zero in on DiMaggio’s 1941 performance, when he hit .357 with 30 home runs and struck out 13 times on the year. At 22 years of age, the Millville Meteor has plenty of time to aim for the brightest stars in baseball history. After a slow start, Cuban import Jose Abreu has gotten down to mashing on a frightening scale. Abreu hit 10 home runs and drove in 32 RBIs in his first month of MLB action. If there were any questions about his ability to adapt to MLB pitchers after beginning his career in the Cuban leagues, they’ve been answered. Abreu’s .617 slugging percentage leads the American League, while his home run and RBI totals lead all of baseball. Early highlight: Abreu’s April 25 walkoff grand slam against the Rays (see video above) was a moment few players ever enjoy in the major leagues. Welcome to the show, Jose Abreu. The Marlins’ Jose Fernandez always looks like he’s having fun on the mound, but opposing hitters are not in on the joke. Fernandez dominated throughout April, going 4-1 with a 1.59 ERA and 55 strikeouts in 39.2 innings over six starts. Throw in his exceptional fielding ability on the mound and there is a case to be made that he’s the most valuable pitcher (or player) in the National League. His 55:8 strikeout-to-walk ratio is the best in all of baseball. That amounts to nearly 7 K’s for every free pass Fernandez issues. This incredible efficiency puts him among the game’s elite. It’s never a surprise to see Adam Wainwright dominating the field in any month, but the Cardinals right-hander was especially effective in April. Wainwright went 5-1 with a 1.20 ERA in 45 innings of work. In that stretch, he posted a 0.78 WHIP and held opponents to a .157 batting average, notching one complete-game victory along the way. 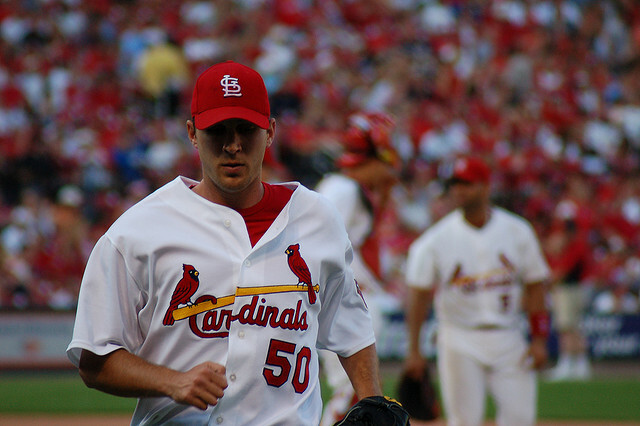 Wainwright’s ability to go deep into games is one of his greatest attributes. In his six starts, he averaged better than 7.1 innings of work per game. That saves a lot of bullpen activity for Mike Matheny. Looking at Johnny Cueto’s stats, it’s difficult to see how the Reds right-hander could have a 2-2 record through his first six starts of 2014. Cueto posted a 1.15 ERA (best in the MLB) over 47 innings (also best in the MLB) with 50 strikeouts versus 14 walks. Opposing hitters managed a laughable .137 average against Cueto in April. It’s easy to see why they couldn’t score off him. 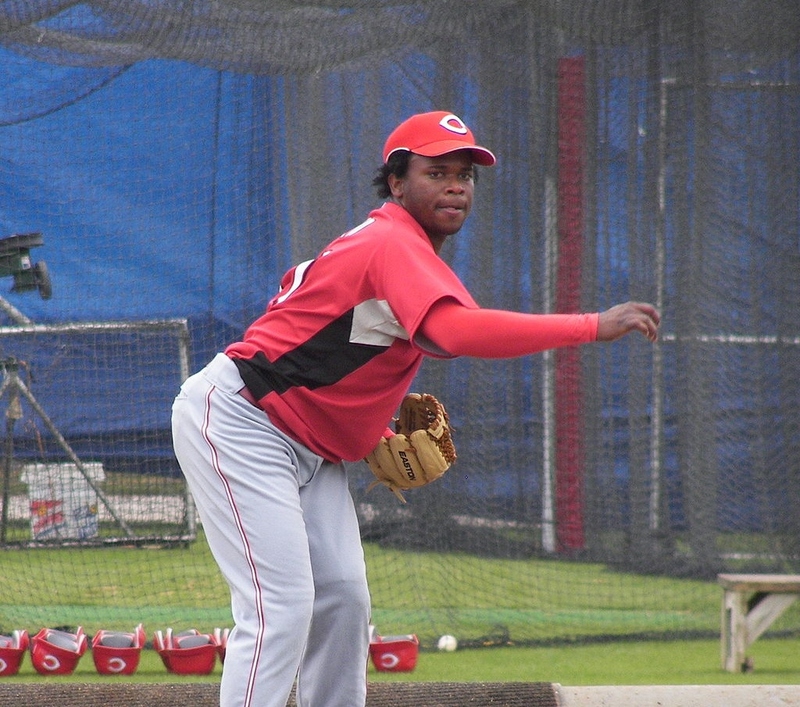 Cueto also threw two complete games. Among the top 10 pitchers in baseball through the month of April, Cueto’s 0.77 WHIP is the best. However, the number of hits allowed by Cueto is his best stat of all. In 47 innings, he’s allowed 22 hits. If a 1:1 ratio is excellent, how do you describe a ratio of innings to hits allowed that’s better than 2:1? After an awkward stretch in Boston, Adrian Gonzalez has found his comfort zone playing for Don Mattingly and the Los Angeles Dodgers. Mattingly said Gonzalez was his most valuable player in 2013, but A-Gon has taken his production to a new level in 2014. 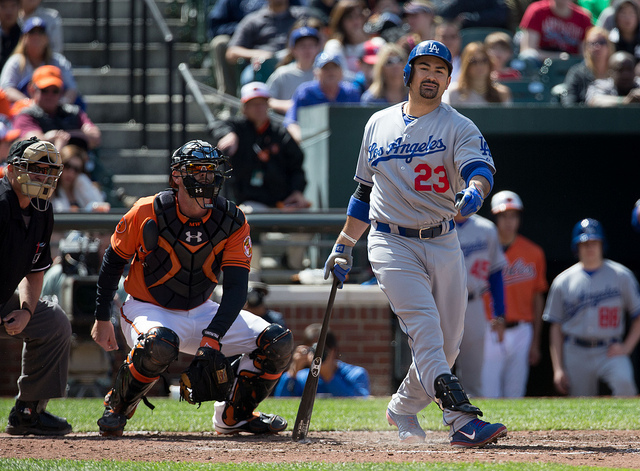 Actually, it’s Gonzalez’s power stroke that is the most welcome sight for Dodger fans. He hit 8 home runs and had 9 doubles with 24 RBI in April for L.A.
A-Gon’s power surge has not come at the expense of his batting average or OBP. Gonzalez hit .317 with a .387 OBP in 27 games for Los Angeles. That ranks him as the most complete power hitter in the NL for the first month of 2014. Last but certainly not least is Troy Tulowitzki. Tulo put on an offensive clinic throughout the month of April. He led all of baseball in on-base percentage (.477), slugging (.727), and OPS (1.205). Meanwhile, he’s raking with a .364 average at the plate and tied for the league lead with 17 extra-base hits. Is there anything Troy Tulowitzki didn’t do in April? Actually, considering his elite production, the only stat he didn’t rack up was strikeouts. Tulo only struck out 13 times in 88 at-bats for Colorado. Add in a perfect 1.000 fielding percentage at playing shortstop (138 total chances) for the Rockies and you could easily argue the Tulo for MVP case.